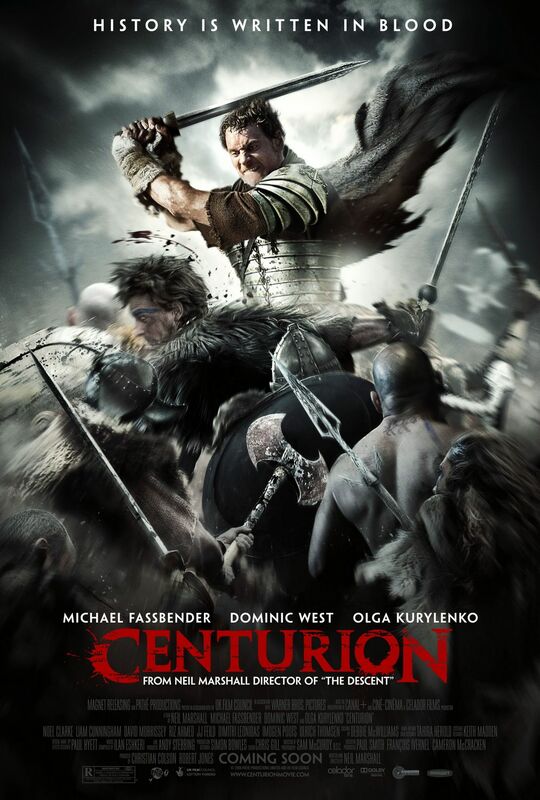 What It’s About: The survivors of a Roman Legion destroyed by Pict guerrillas struggle to rescue their General (Dominic West) and make it back to Hadrian’s Wall…through enemy territory. Why Watch it Today? : Filmmaker Neil Marshall, who wrote and directed today’s film, turns 44 today. Marshall makes unapologetic genre films, the kind that are rarely seen today-well made and stylish, but not necessarily with post modern deconstruction or focused more on the style than delivering an entertaining story. Other Choices: We’ve previously featured Marshall’s women spelunkers vs. cave creatures flick The Descent and ” Escape from Scotland” riff Doomsday. This entry was posted in Action, Adventure, Drama, Guerrillas, Movie of the Day, Period Film, Special Operations, Suicide Mission, War Movies and tagged behind enemy lines, Britain, Canal+, Centurion, Dominic West, fort, France, general, Guerrillas, Hadrian's Wall, Imogen Poots, Legionnaire, Liam Cunningham, Michael Fassbender, Neil Marshall, Noel Clarke, Olga Kurlyenko, Pathe, Paul Freeman, rescue mission, Roman Britain, Rome, Scotland, UK Film Council, Warner Brothers. It’s a fun B movie kind of thing…it’s not the greatest adventure/historical action movie ever made, you’ll be able to guess most of the twists and turns of the plot, but it’s done well enough you shouldn’t mind if you liked Marshall’s other movies.